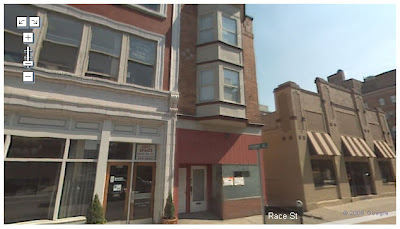 Reliable sources close to UrbanCincy are indicating that a pizza joint may be on tap for 914 Race Street (GoogleMap) downtown. The almost 100 year-old building (built 1910) is located directly north of popular wine shop City Cellars, and is in an area of Downtown that is in desperate need of more activity generating businesses. The building is a three story building that boasts “newly renovated” apartments on the upper levels. The 1,392 square foot street-level space is currently vacant and marked for retail. A full liquor license has been applied for at this address, and after further investigation a pizza place seems to be what is in store from owner. Stay tuned for updated information as it becomes available.